Cryptocurrency has had a rollercoaster year and in hindsight we are starting to realise the hype may have been more than a little premature. A study commissioned by Invest in Blockchain found that only 36 of the top 100 digital currencies by market capitalisation had a working product. To look at it from an even scarier lens: 64 per cent of these projects are still knee-deep in product development – some of them may even have nothing more available to the public than a white paper and a community chat. While the definition of what constitutes a working product is up for debate – the researchers used public availability, the release of a mainnet and consumer or enterprise usage as their criteria – there is no arguing that there is a serious issue afoot here. These crypto projects are breaking a cardinal rule in the tech world: They’ve put marketing before product development, sometimes even to its exclusion. The focus on marketing would not be so problematic if the general public tended to compartmentalise crypto projects one-by-one, but they do not. A few bad actors will paint a pattern in their eyes: These initiatives are all hype, or even worse, they are all scams. In short time, you might see a backlash against truly innovative cryptocurrencies or crypto companies, similar to how some skeptics doubted firms like Amazon or PayPal in the wake of the dot-com bubble. The problem is rooted in the general public as much as it is in the crypto projects with no working product. Rather than celebrate any crypto project with a unique idea, we need to exercise greater discretion in choosing which initiatives, organizations, and firms to give our attention to. We should focus on ventures that have a working product, as it’s their solutions that will improve the lives of users, and in the aggregate, build credibility and galvanize support for an industry in dire need of it. Luckily, Asia Pacific is home to some of the most notable cryptocurrency companies with working products. Here are three of the very best, each working to cut through marketing speak with solutions that help enterprises or consumers. QTUM, based out of Singapore, was one of the few companies in Asia that made Invest in Blockchain’s list of working products. It is a smart contracts platform and value transfer protocol that takes elements from both Bitcoin and Ethereum. Though its price has fallen as of late, many enterprises and organizations are already building projects atop QTUM, in fields as diverse as health care, content creation, and online search. Most impressively, some developers are using QTUM to build niche applications far from the usual technology subsectors. One example is Halal Chain. Halal certification is the process of certifying food, medicine, and cosmetics as meeting certain standards established by the Islamic Council. Unfortunately, many companies try to game the system, as a bid to attract the Muslim market but cut costs on the actual work it takes to produce Halal goods. Halal Chain will better regulate the Halal certification system by tracing the movement of goods at every stage of the chain – raw material supply, inspection and quarantine, and sales – through QTUM-enabled smart contracts. There are many other noteworthy projects being built through QTUM, which just goes to show its effectiveness as a platform: It is enabling others to succeed in ways they couldn’t before. Pundi X was another company in Asia that met Invest in Blockchain’s criteria for a working product. 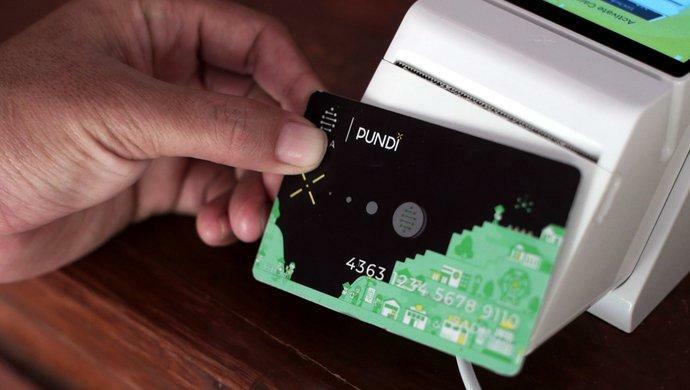 The term may even be an understatement for Pundi X, as the Indonesian company is in the midst of a global roll-out of their 100,000 Pundi XPOS devices, deploying so far in Singapore, Korea, Indonesia, Brazil, Switzerland, United Kingdom, and many other markets. These XPOS devices enable consumers to make in-store transactions using cryptocurrency via their Pundi XPASS card. In July, the Pundi XPOS were launched at the eateries of the FAMA Group in Hong Kong, including Locofama, Sohofama, SUPAFOOD and the Hive Cafe. An even more impressive deployment came just last year at Ultra Taiwan 2018. In what would be a rain-soaked festival, close to 30,000 attendees would pay for their food, drinks, and merchandise using Ultra Coin – the festival’s official digital currency – at the XPOS terminals. The two partners billed the event as the world’s first blockchain-powered music festival, but the significance of its success is arguably even greater: It showed that handling thousands of crypto transactions from consumers in a real-world setting was not only feasible but practical. Pundi X, in other words, is making crypto usage as mainstream as well, music festivals and hip eateries. Bitmain was not on Invest in Blockchain’s working products list because it is not based on a cryptocurrency – the company manufactures miners – but it is just as important to highlight here because the wider ecosystem is as full of marketing hype as the cryptocurrency projects themselves. Just think about how many miners, hard wallets, automated teller machines, and other solutions have failed to materialise after an avalanche of early hype. Bitmain represents a welcome contrast. Headquartered out of China, Bitmain has created a lineup of powerful Bitcoin and Litecoin miners and has since diversified into managing the largest mining pools in the world and even AI chips. As of last month, Bitmain even completed its pre-IPO registration in a bid to attract capital to accelerate production of its hardware, and cement its market leadership in crypto technology. This list is by no means exhaustive. There are plenty of crypto projects and companies in Asia that are doing great work. This is merely a call to focus on those who are already walking the walk (i.e. helping consumers or enterprises with their products) and not just talking the talk (i.e. marketing what they will one day do). Exercising greater discipline in who we chose to celebrate will no doubt benefit the industry as a whole, attracting supporters, winning over skeptics, and ultimately legitimizing cryptocurrency as a technology here to stay. The post Walking the walk: Three Asian crypto companies gaining real-world traction appeared first on e27.